BETTER NOISE Records’ artists FROM ASHES TO NEW are quickly going to become one of the leaders of the new generation of rock bands. 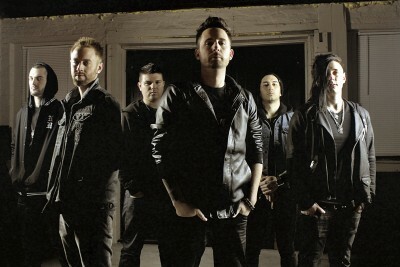 As they ready new music for their summer 2015 album release, they are putting out an EP to preface their March tour with HOLLYWOOD UNDEAD. Blasting out of Lancaster, PA, From Ashes To New is less a band, more a dynamic aural antidote to modern life’s perpetual grind. Based around the twin fulcrums of Matt Brandyberry’s relentless, twisting verses and ChrisMusser’s razor-edged vocals, the sextet are already dealing in the sort of arena-ready anthems that will make youwant to kick your 9-5 into the middle of next week. The band blends from the broadest of modern metal palettes to produce something both wholly unique and utterly compelling. The brand new tracks on the EP will be available for streaming via Spotify on 3/2:“Downfall” “Land of Make Believe” “Lost and Alone” “Through It All.” The upcoming self-titled EP provides music for the fans that will see the band on their tour of the U.S. opening for Los Angeles-based rockers, Hollywood Undead.